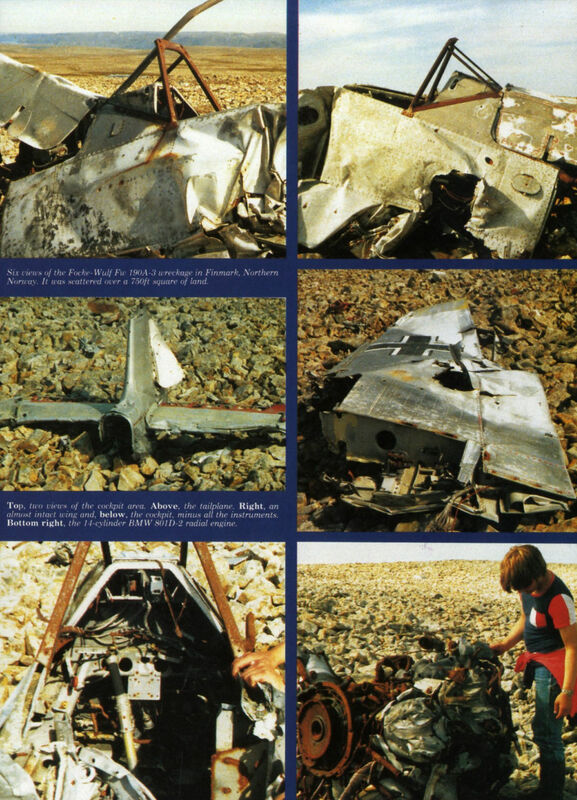 Six views of the Focke-Wulf Fw 190A-3 wreckage in Finmark, Northern Norway. It was scattered over a 750ft square of land. Top, two views of the cockpit area. Center left, the tailplane; right, an almost intact wing. Bottom left, the cockpit, minus all the instruments;the 14-cylinder BMW 801D-2 radial engine. 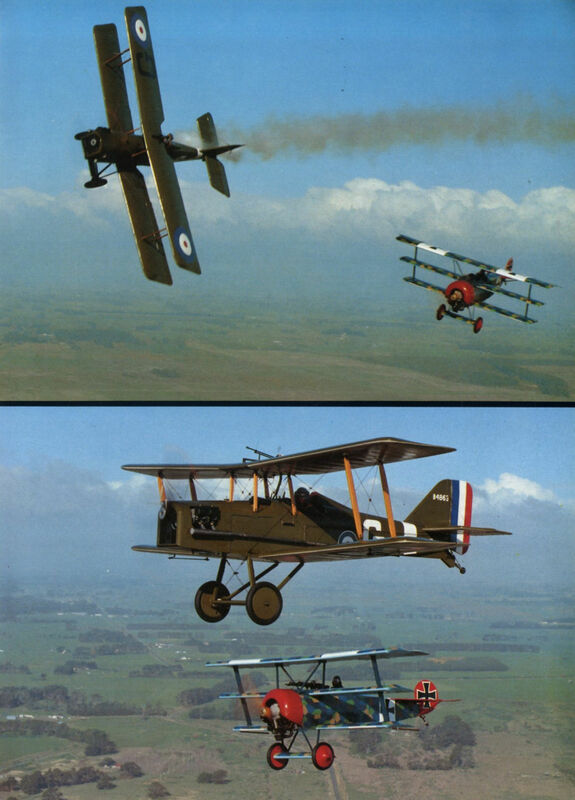 Fokker Dr I replica ZK-FOK and S.E.5a replica ZK-SET in action over Manawatu province, New Zealand. 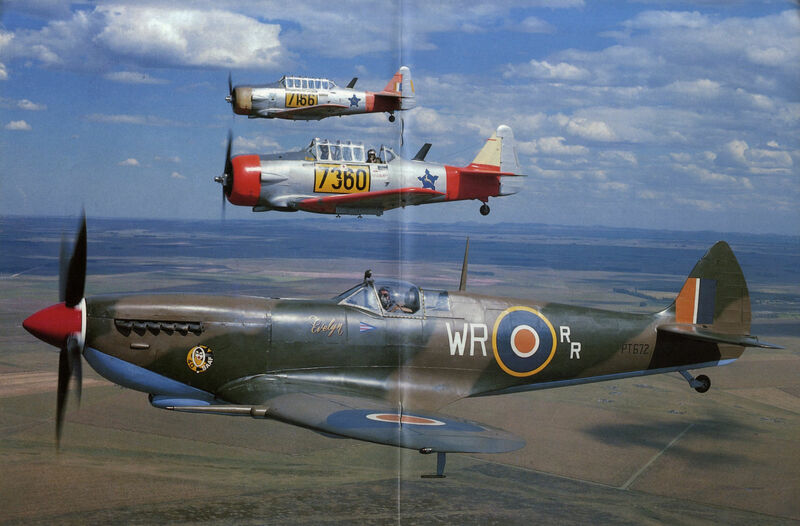 The aircraft are operated by Stuart Tantrum and Wg Cdr John Lanham RNZAF as the Foxpine Flying Circus, based at Foxpine Airfield near Foxton, NZ. Tantrum built both machines; the Lycoming-powered S.E.Sa made its first flight in 1978, and the Continental-powered Dr I first flew in February 1985.